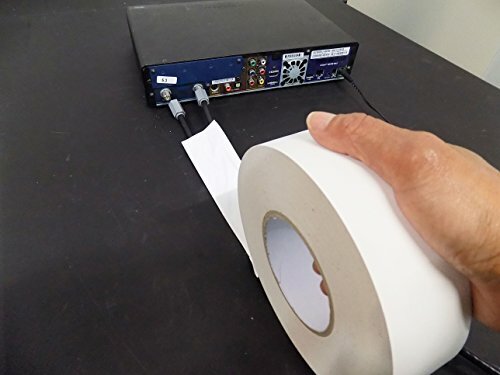 WOD CGT-80 is a High Quality Gaffer Tape polyethylene coated cloth laminated to a low gloss finish film, coated with a Natural Rubber based adhesive. Conforms well to irregular surfaces and will not twist or curl during application. Excellent water, vapor and abrasion resistance. Clean removal on most surfaces (surface type & dwell time may affect performance). Suitable for entertainment type applications where minimal visibility of tape is desired (i.e. "spike" tape). HIGH QUALITY GAFFER TAPE LOW GLOSS FINISH FILM - This tape has a SMOOTH finish that will conform well to irregular surfaces and will not twist or curl during application. 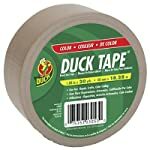 It is 45 yards long which is 15 yds more than most "gaffer tape" being sold on Amazon. NO RESIDUE ON YOUR GEAR, CABLES, AND SURFACES - When applying WOD Gaffer Tape, it holds it down very firm, but is also very easily to take off leaving no residue. The adhesive will not leave residue on the surface leaving your gear and cables protected and completely undamaged. ESSENTIAL TO ANY TOOLBOX - Uses are infinite; from taping doors and windows to prevent drafts to bookbinding. WOD Gaffer Tape has hundreds of uses it can also be used to repair boats and cars! NON-REFLECTIVE AND WATER RESISTANT - Using it on a stage or theater? It blends discreetly into the background. This low gloss finish has excellent water, vapor, and abrasion resistance to protect and hide what holds down. PEACE OF MIND SHOPPING 100% MONEY BACK GUARANTEE! - We sell LOW-GLOSS/SMOOTH FINISH FILM GAFFER TAPE if you are not satisfied, we will do our due diligence to make sure you are completely satisfied with the product and service. Just send us an email, and we promise to make it right!